Luke Walton quickly landed on his feet. Walton, after 11 years as an NBA player, rose to coaching prominence when he filled in for Steve Kerr as the interim coach of the Golden State Warriors during the 2015-16 season. After the season, he was hired by the Lakers, the team he spent nine seasons with as a player. In his three seasons, Walton had a 98-148 record as he attempted to oversee the franchise’s rebuilding effort — one that was filled with dysfunction. 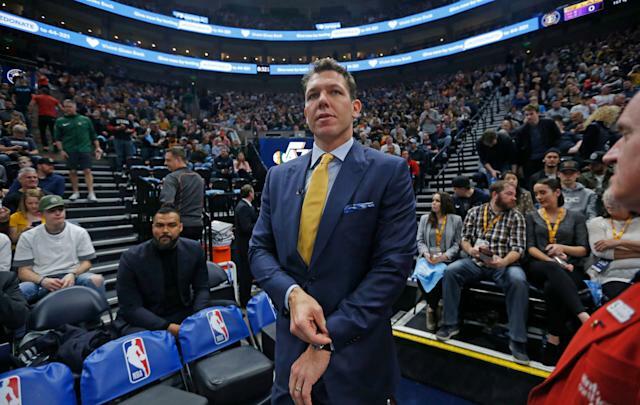 Walton, 39, was expected to be fired by the Lakers once the regular season ended, but the abrupt resignation of Magic Johnson put Walton’s impending exit on hold for a few days. On Friday, the Lakers announced that they “mutually agreed to part ways” with Walton. Walton was quickly identified by Divac and the Kings as the man to develop their talented young roster and get the team back to the playoffs for the first time since 2006. In Sacramento, Walton inherits players like De’Aaron Fox, Marvin Bagley and Buddy Hield. The Kings were in playoff contention for much of the year, but lost 17 of their last 26 games to finish 39-43, their best record since ‘06.